A Tor Browser is the ultimate tool for protecting your privacy while using a PC to browse online. For Windows 10, simply installing and running the browser is not always enough to ensure that the program is protecting your identity and activity. Use this quick guide to get your Tor Browser running smoothly while keeping you safe. The Tor Browser relies on a series of relays to encrypt and pass along information, in a nearly untraceable chain of virtual volunteers. 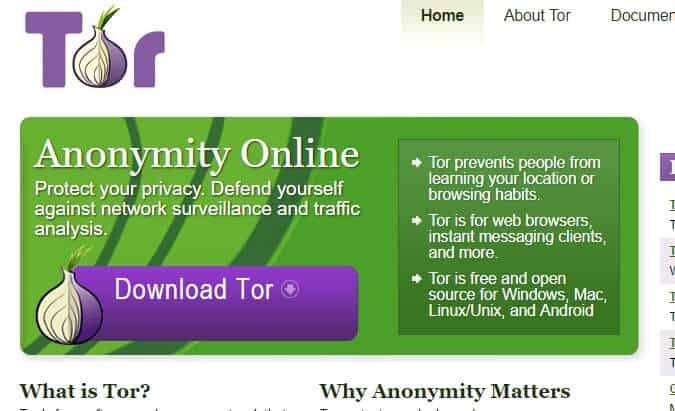 Tor can be used to go around internet controls, maintain private correspondence, and access private online markets. Often touted as software for hackers and criminals, Tor Browser is in reality, a powerful tool for anyone looking to increase personal online privacy. Learn how to install and configure Tor Browser t0 protect your privacy on Windows 10! On the main page is a quick link to the download page. From here, use the far left table to click on the links for Windows 10 select the desired language. This will begin the installer download. 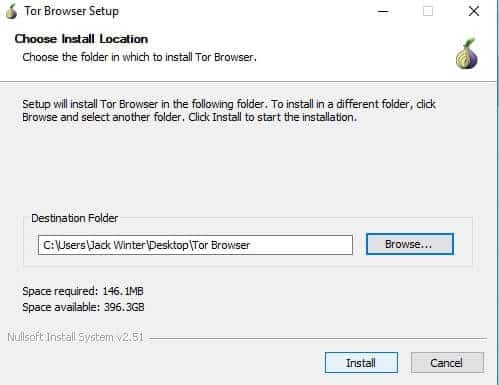 Go to your downloads directory and double click the torbrowser-install.exe file. This will begin the installation process. If your primary goal is privacy then spend a few dollars on a cheap USB stick. The small file (only 165 MB) fits easily onto most types of portable storage and when using a work or shard computer, there is no data left on local disks about Tor’s presence. 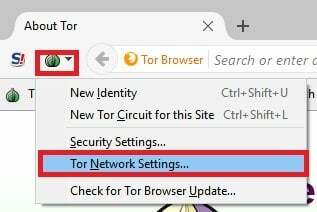 Opening Tor is as simple as clicking the shortcut on the desktop or by opening the Tor Browser folder and click the Start Tor Browser icon. 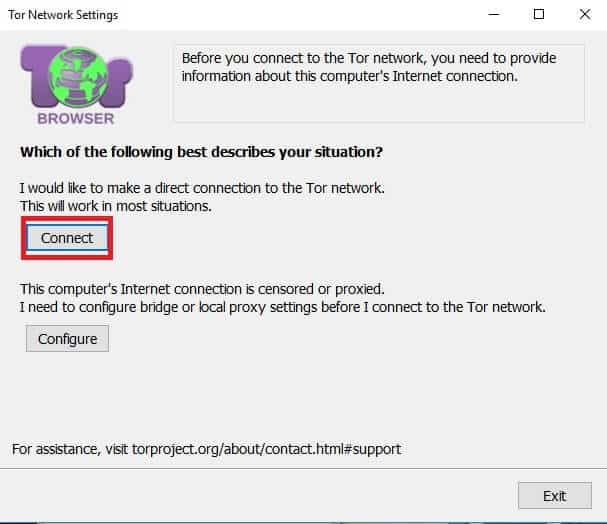 The browser will start and offer a choice between an automatic connection to Tor's system of relays or a manual configuration. In most cases, the automatic setup will work on its own. A few Internet service providers (ISPs) and public networks have security in place to prevent users from reaching the Tor servers. In that event, alternative bridges can be used to circumvent this security. Even when all goes well, it can still take a few minutes for the Tor Browser to connect to the network. Be patient. Once this is complete, the browser will bring you to the Tor Project's landing site. All the traffic that now comes into and out of your computer is routed through the Tor network. To almost all prying eyes, your activity is now encrypted and hidden. If you're still unable to connect then there is a good chance your ISP is blocking you. This is not uncommon, especially on public and business networks. The best way to get around this is to use a bridge. This will allow an individual to move around these blocks and access the Tor servers through lesser known channels. The Tor Project has a directory of alternative bridges on their official public website. It can be accessed from your standard web browser or you can email the developers using a Gmail, Riseup!, or Yahoo! account. Expect an almost instant reply with a list of bridge addresses to help get around more stubborn ISPs. Click the onion-shaped icon to the left of the address bar (this is called the Torbutton) and select “Tor Network Options” from the drop down menu. 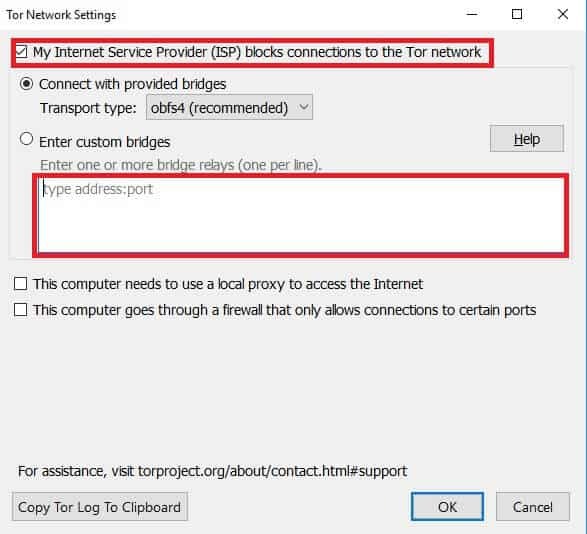 From here check the box that says “My Internet Service Provider (ISP) blocks connections to the Tor network.” Here you can copy and paste the bridge address into the prompted fields. Tor also comes with a variety of different useful plugins that only further enhance the existing privacy protection. Tor Browser also comes prepackaged with an integrated version of the popular NoScript add-on. This extension is accessible from a button on Tor Browser's main toolbar. It's usable with either block all scripts from running within the browser or just those on specific websites. Switch this to “Forbid Scripts Globally” and be selective about what you choose to allow permissions. It can open up your actual IP address to unwanted detection. 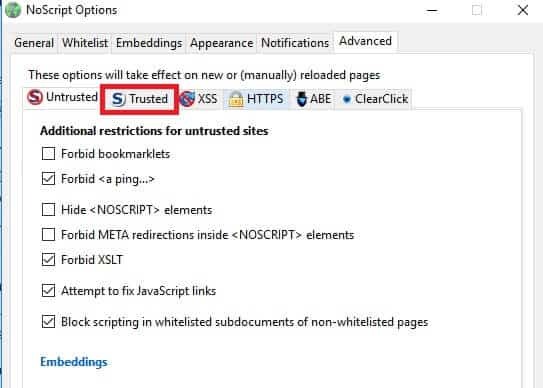 You can find a detailed list of what site exceptions are made in the options menu, thus narrowing your online experience to only scripts you have approved as safe. This extension encrypts activity on most major website sites that attempt to track and monitor your online traffic by forcing HTTPS security. Like most of Tor's plugins, it runs smoothly, typically without the user realizing its there. As the public has become aware of Tor's line of products, their browser has increased in both convenience and adaptability. It is now easier than ever to keep your identity and information safe while accessing the internet. Tor continues to lead the charge in this, hence why, they remain one of the biggest names in online privacy.